Like the now famous Southwest Airlines commercials say, sometimes you just need to get away. Whether it’s just fleeing February weather or fleeing February itself, it’s the time of year to disappear for a weekend. Bring your partner, your friends, or just a really good book, and get away. At least you won’t need to worry about packing with a Builford Travel Duffle Bag. 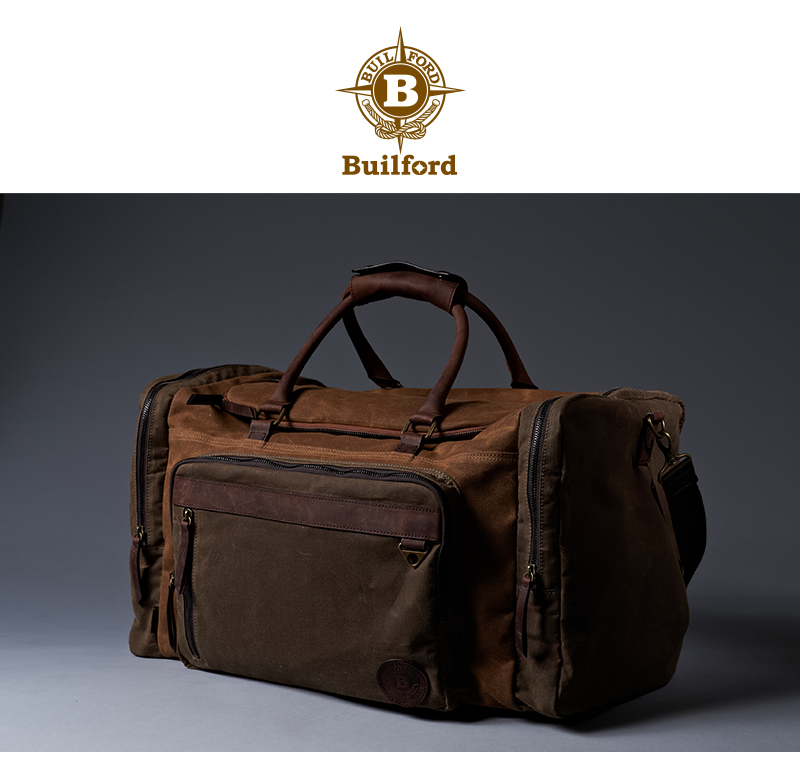 Builford has two models of duffle bags, the more simple Travel Duffle and the Weekend Travel Duffle, which is a bit more heavy duty. Both are more than sufficient for a weekend travel trip. Whether you are going somewhere warm or somewhere cold (weekend ski trip anyone?? ), they are good for it. 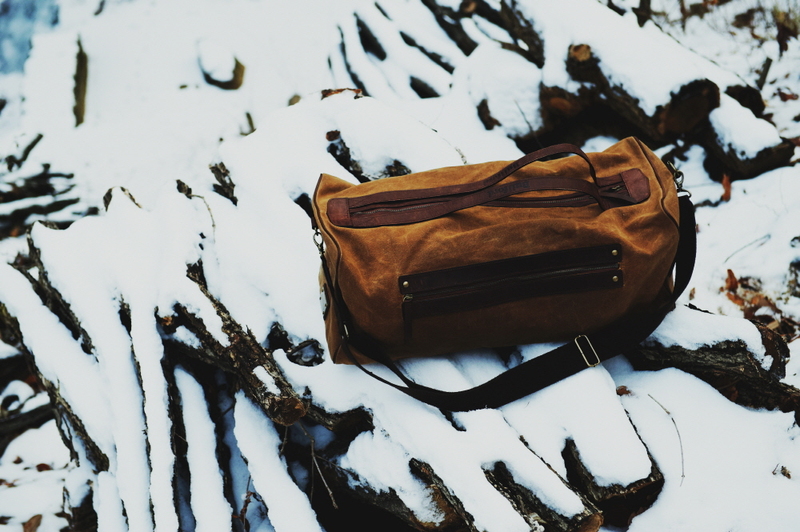 The waxed canvas is waterproof, so you don’t need to worry about taking it to the beach or to the snow. Both have removable inner compartments if you need to separate your things, with side and front extra pockets for extra space. The shoulder strap is padded and adjustable. The two-toned Builford Weekend Duffle Bag is both beautiful and suitable even for a business trip, with an inner laptop compartment and a padded front pocket that can hold and protect a tablet. The Builford Travel Duffle Bag, on the other hand, is more lightweight, with just the essential features. It’s a fantastic bag for shorter trips. Also waterproof, it’s large enough to fit all your ski gear (except the skis of course!) – and don’t worry about chucking it into the snow! It’s time to get away, change things up, see a new view from the window. The sparkle of the new year is wearing off and spring is still too far away to anticipate. Grab that Builford Travel Duffle – whichever one suits you best – and go renew, reinvigorate, and fall in love with life again. Builford Duffles are available for purchase at certain locations and always online at www.builford.com. Head on over and check them out! Share the post "Builford Duffle Bags For A Quick Escape"
Posted in Fashion Review and tagged builford travel bags, duffle bags, travel bags, travel duffle bags, waxed canvas duffle bags, waxed canvas travel bags, waxed canvas travel duffle bags. Bookmark the permalink.